It's cherry season ! 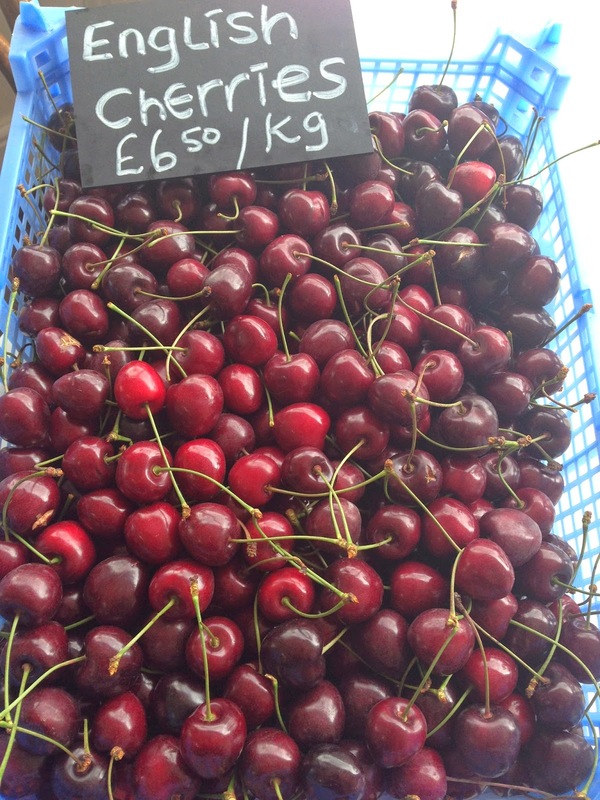 I love cherries, so shiny, tender and sweet. Last season I was contacted by a lovely lady called Liz Mount who owns an English Cherry Farm in Aspley Guise Milton Keynes. I was excited that their cherries were ready to be picked last week, Liz kindly dropped a crate of cherries over to the Bakery as I had a recipe that I wanted to try out. After eating half of them as nature intended (perfectly tender and sweet), I plucked all the fresh green stalks from the remaining cherries and used them in three different ways. Simmer gently over a low heat until thick and reduced. Remove stones and blend with a stick blender. Leave to cool into a jammy goo. With a hand mixer blend all ingredients together until light and fluffy. Transfer to tins and bake for 30 mins at 170 C.
Remove from tins and cool completely. add half of your cherry coulis and beat again. 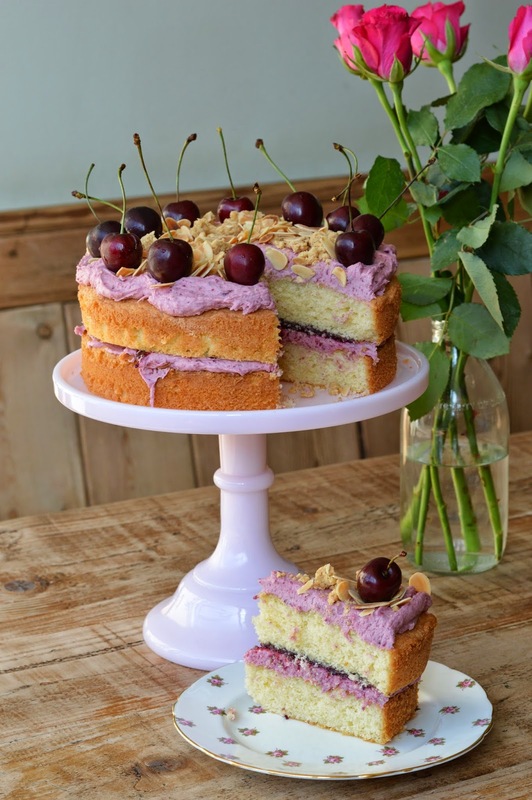 Spread half of the buttercream over one half of the cake, spread the remaining cherry coulis over the buttercream and place other sponge on top. 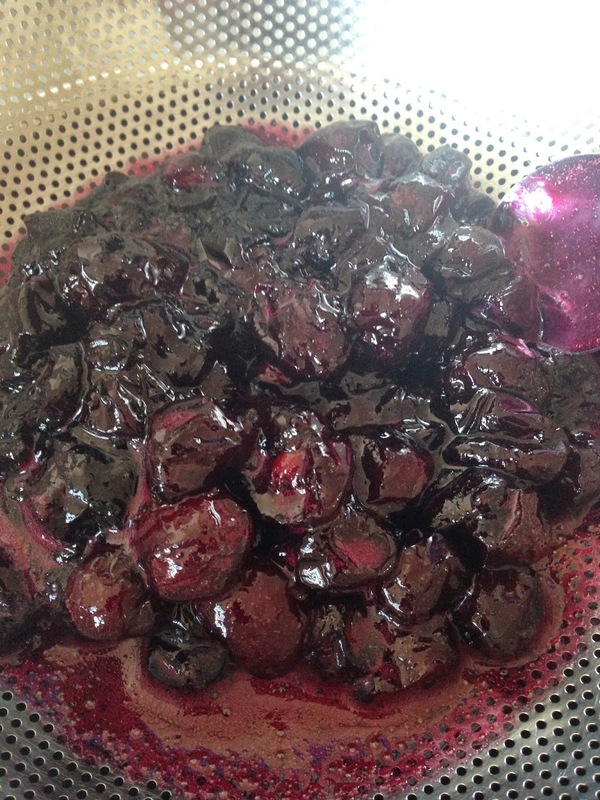 Place 400g fresh cherries in sterilised kilner jar, pour over 160g caster sugar and then top up with 500ml vodka. Store in dark place and shake often. Leave for at least 3 months, longer the better. 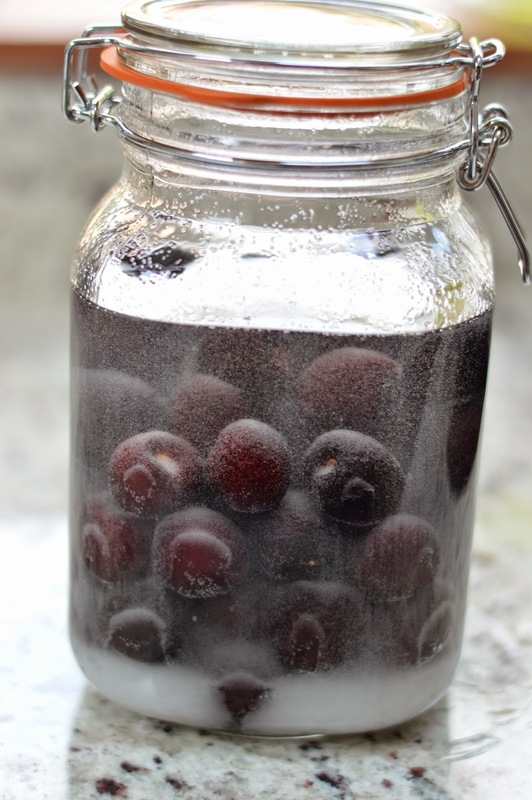 Haven't made this before so I will let you know how it tastes in a few months, and what I decide to do with the cherries ! 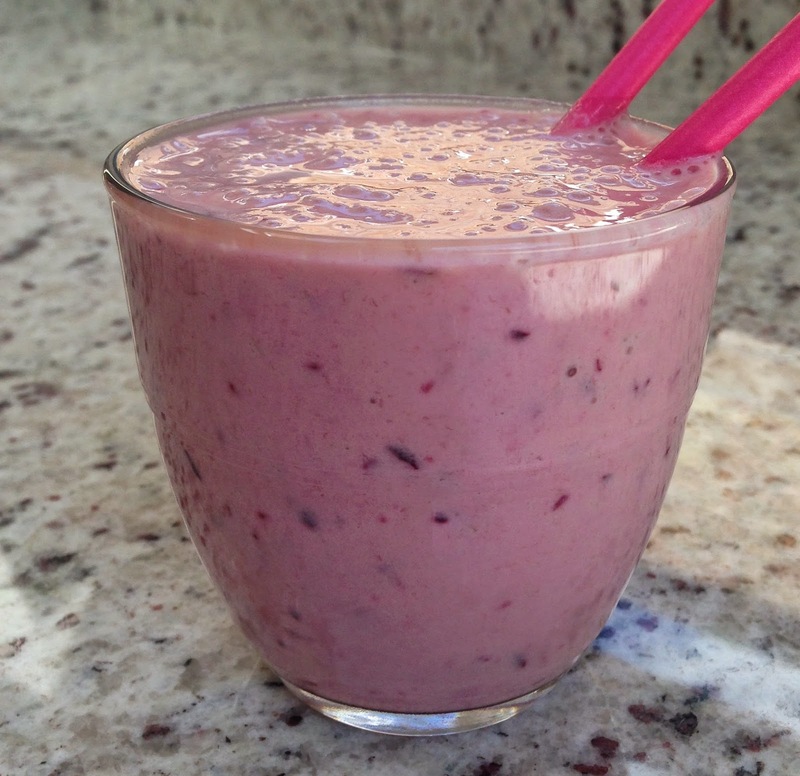 I love smoothies, quick way of packing nutrients into your body. I love the colours that they produce too ! Think I will have to visit the cherry farm before the season is over, as I need some more.